There is currently a proposal for the construction and operation of a 501 ft. by 81 ft. CAFO barn to hold and grow 4,800 pigs from feeder to market size in Catherine Township, Blair County. This will be located on Hemlock Lane just off Rt. 22 about four miles north of Williamsburg, and will be the first of its kind in Blair County. A drive through nearly any part of rural Pennsylvania makes clear why agriculture is touted as the number one industry in the state. Thousands of farms large and small cover the landscape, and many have been run by the same families for generations. As it becomes increasingly difficult to make a living on a small family farm, a new concept in farming has emerged in recent decades. Now well-entrenched in southeastern PA and many neighboring states, Concentrated Animal Feeding Operations (CAFOs) have become a common sight (and smell) for anyone passing through those areas. Basically, a CAFO is defined as a highly-mechanized feeding operation designed to raise the maximum number of animals as quickly as possible at the lowest cost. A farming operation is designated as a CAFO based on the type and number of animals involved. For instance, a large CAFO for poultry is anything over 125,000 chickens, while for hogs it is anything over 2,500 pigs. The concept is spreading rapidly. This is the site for the proposed CAFO in Blair County, along Rt. 22 in Catharine Township. While the decision to build a CAFO may pose a financial risk to the owners, it will result in long-term health, financial and life quality impacts to hundreds of their neighbors. Those of us who grew up or live in farming areas are accustomed to the smells of farming activity, especially the spreading of cow manure on fields and the odor from barns. It is part of country life. The odor from pig manure is notoriously worse than that from cows, however, and the proposed facility will generate at least 1.4 million gallons of manure annually to be stored onsite and spread twice a year on about 300 acres of farm fields scattered near the Frankstown Branch of the Juniata River from Canoe Creek State Park nearly to Water Street. Dead animals will be composted on site above ground on a concrete slab. Huge fans will operate 24/7 to vent the barn and the manure storage chamber beneath it. The odor from a CAFO for 4,800 pigs (dead and alive) will be like nothing we could imagine from traditional farming practices. The adverse impacts on property use, recreational activities, water quality and human health will be significant, but is understated or dismissed in a draft Environmental Assessment (EA) prepared by the US Department of Agriculture Farm Services Agency in 2016. Access to the studies and plans cited in the EA was restricted. 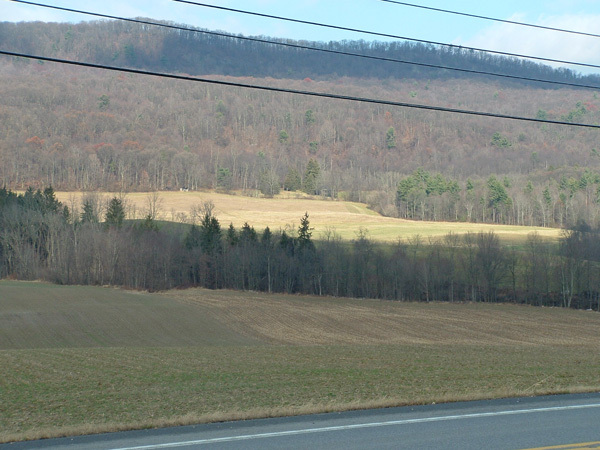 Concerns about the potential negative effects of the proposal have led a group of local citizens to form the Canoe Valley Conservation Coalition (CVCC), with the initial goal of obtaining a thorough and transparent assessment of the significant environmental impacts that may occur during the construction and operation of this project. CVCC, with assistance from the Socially Responsible Agricultural Project (SRAP), is also looking at legal action to stop or delay the project. A great deal of information on CAFOs is available online from reputable sources, including universities and a publication by the National Association of Local Boards of Health. A Google search of the subject will reveal hundreds of references on impacts to human health and the environment. The SRAP website at srap.org is a good starting place if you want to learn more. If you are concerned about the CAFO to Blair County, contact me, Bruce Rodgers, at canoevalley@embarqmail.com. If you are concerned about the four CAFOs proposed for Bedford County, contact Laura Jackson at mljackson2@embarqmail.com.